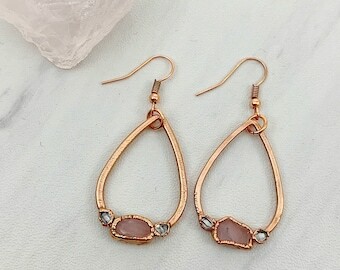 Five tumbled pink rose quartz stones set in shiny copper. 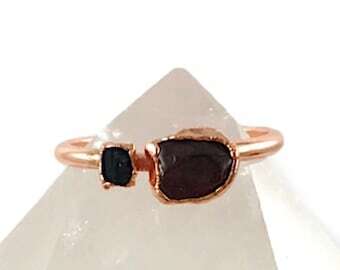 This ring is one of a kind and size 8. The ring is sealed to preserve the finish. 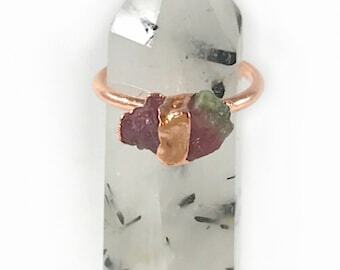 Note: The rose quartz stones are natural and tumbled, which means they may have imperfections. 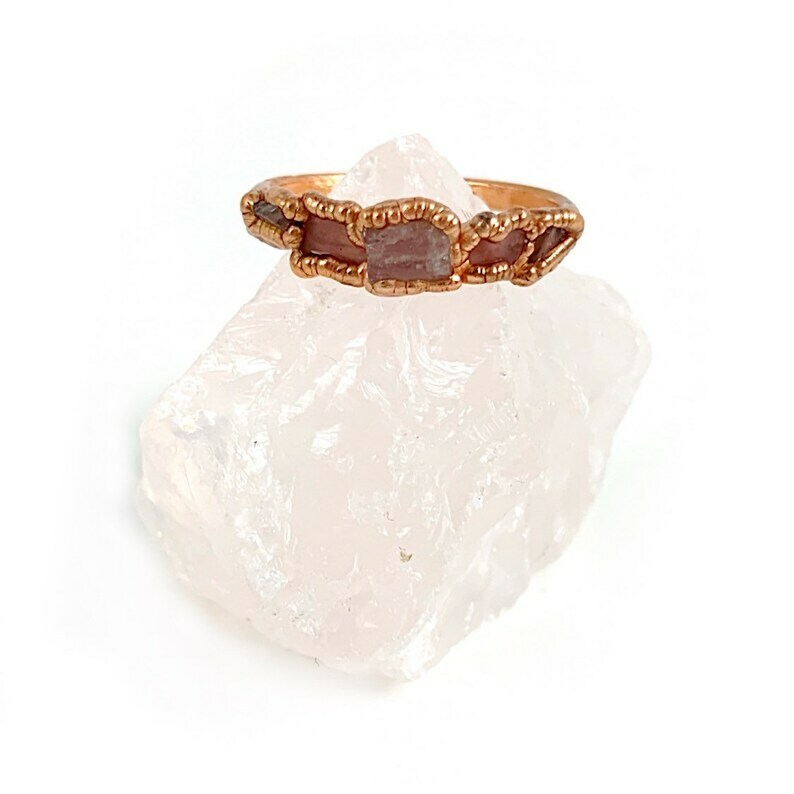 This ring was created through a process called electroforming, which allows copper to build up over several hours. 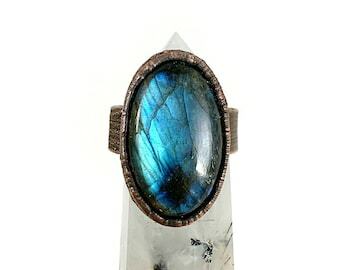 It is unpredictable and results in one of a kind and unique pieces. However, there may be small nicks, pits and bubbles in the copper as it is a natural process. Additionally, please be aware that over time, the color of the copper will naturally begin to darken. 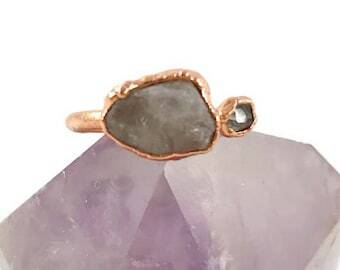 Your copper jewelry may be cleaned using lemon juice or a vinegar and salt solution. 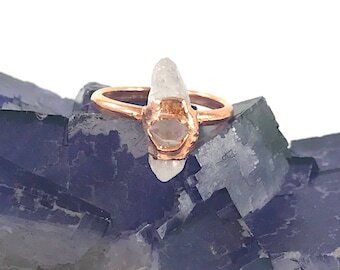 Often referred to as the "love stone," rose quartz is a stone of unconditional love. It is believed to inspire forgiveness, and help you to let go of anger and jealousy. It is also associated with fertility.